You might think you can find enough fuel for your fire in the woods, but the wood you find might be wet and not want to burn. It is good planning to take your own wood with you and store it where it is dry. Make sure to also take along some kindling to start the fire for the wood you’ve brought from home. When you purchase a new tent for camping, take it home and completely set the tent up before going on a camping trip. You can be sure there are no missing pieces and learn ahead of time the correct way to set your tent up. This can eliminate the frustration of trying to set up your tent in a hurry. Especially if the weather forecast was wrong when you arrive at your destination or there was something missing that was crucial to setting up your tent properly. If you have bought a new RV or trailer practice backing it up locally before attempting to back into a camping spot in the campground you’ve chosen to avoid hitting any trees or numbered posts usually present in a campsite. You don’t want to spend all that money only to have to spend some more for repairs or even replacing something you hit. Over-packing is better than under-packing when it comes to children. Camping can be a bit messy. Kids are seriously attracted to the dirt. Because of this, your children will likely be filthy by the end of the day. You can’t avoid the dirt, but some extra clothes will help out. Be prepared for dirty clothes and dirty children by packing extra clothing. Duct tape is a handy tool to carry when you are camping. From mending tent holes to fixing shoes, duct tape can be used for a lot of repair work in a pinch. The strength of duct tape is quite surprising and it will stick to almost everything even when it’s wet. It is also known as 200 mph tape because it was used during the wars on airplanes to patch bullet holes. Before you decide to camp in an new area, it is important to be aware of any dangers commonly found there. You need to know about the local insect population, wild animals, natural dangers like water or steep locations and weather conditions. Each camping spot is unique and can be dangerous in its own way. By familiarizing yourself with your surroundings before you leave, you are in effect reducing the stress of trying to figure out the potential impacts from the issues that could occur from the unknown. 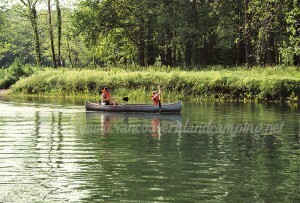 Understanding the wilderness you are camping in is the best way to relax and enjoy the camping adventure. Carefully think about what types of clothing you will wear during your camping trip. Make sure you pack enough appropriate clothing for the duration and activity planned for your outing. Pack ample clothing items appropriate to the climate you will be visiting. Include closed toe shoes or hiking boots if you want to do some hiking. Though camping may be about roughing it in the wilderness, being prepared is a necessity. Bring extras of things like batteries, blankets, candles, clothing, shoes, sunscreen, tarps and anything else that won’t be a burden in weight. If you are camping in a vehicle or using a vehicle to get to the place where you are setting up a tent then the extra weight shouldn’t be a problem. When selecting an area for your tent, look for the area of the campsite with the flattest and softest ground. An area that is sloped or rugged won’t make for the best place to put your tent. Also, put a tarp over your tent to repel water from getting to the tent. You could also dig a moat around the base of the tent to help drain the water falling off of the tarp to another area away from the tent. Take along a lightweight foam mat if your backpacking or an inflatable mattress if you’re mobile to place on the floor of your tent for comfort. Nothing worse than waking up stiff because of the hard cold ground on which you’ve placed your tent. Insects are always present and a pain when camping in the wilderness. Make sure to take along things like citrus peels which repel most flying insects, lemon eucalyptus oil is great for a replacement for “deet” and can also be used to prevent deer tick bites, white vinegar can be added to a spray bottle and sprayed where ever ants are present to keep them at bay, chop up an onion and put the slices into a bowl of water and place it on the picnic table to keep bugs away, take a plastic milk jug or jug with a handle and cut a window on all four sides then hang a cord or wire from the cap down to the windows with a piece of bacon securely attached to take care of the wasp problem and lastly here is a very cool way to trap mosquitoes using a plastic bottle, sugar water, pepper and yeast. Keep an eye out on your camping area. Beware of wasp nests, or breeding territory of other animals. Keep an eye out for animals and insects around your camp, and make sure there aren’t any large populations of them close to you. Don’t forget to bring along the bug spray or use the above natural techniques to rid your campsite of the pesky bugs. Charge your cellular phone to maximum capacity before you leave on your trip. Also, bring additional batteries in the event of an emergency. A cellphone can save your skin in bad situations, but only if it has a battery. Know how to use a compass and read a map before you go backpacking or hiking into the woods. Although the camp site may be a familiar one, there may have been changes since your last visit and you could still get lost. Learn to use these survival tools to prevent potentially bad situations. Always pay attention to where you are and leave a breadcrumb type of trail if necessary using ribbons or marking trees. As you have read, you can make camping something that everyone can really enjoy. When you use the information here, you are able to plan a trip that anyone can enjoy, even those who dislike nature. 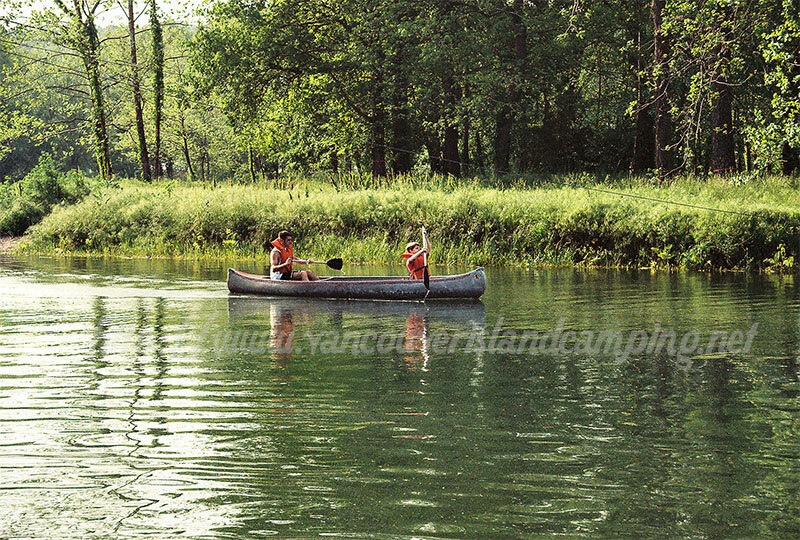 Planning your camping outing is a crucial step towards a great time. Know the area where you will be camping, become familiar with all exit points and potential dangers that may exist in the surrounding landscape. Make sure you are familiar with anything you’ve recently purchased before you head out on your camping trip. Try out some of the mentioned natural ways to combat insects to see which one works best for your situation. Learning how to take the stress out of camping is a matter of planning ahead. Simple as that. Go ahead get out and explore everything that nature has to offer.